Brand Nvidia is the most known for High end Graphics cards, Nvidia already has GTX- earlier it was the Top of the Series Graphics it was fast & powerful, now Nvidia introduced a new Top of the line Series called RTX. Nvidia RTX is a development platform for rendering graphics, applications such as video games had to rely on rasterization for their rendering. Nvidia created RTX to enable a significant advance in computer graphics by generating lifelike images in Frames in real time. RTX runs on Nvidia Volta- and Turing-based GPUs. So lets go deeper into this Innovative Technology The Nvidia GeForce RTX 2080. The Nvidia GeForce RTX 2080 is powered by the new Nvidia Turing architecture & the all new RTX Platform, which actually really enhance the Gaming Realism, speed, power efficiency, and immersion. GeForce RTX gives up to 6 time the performance from the previous generation graphics cards and lead the power of real-time ray tracing and it brings outstanding AI to games. Ray tracing is fairly new Technology it is the ultimate solution for lifelike lighting, reflections and shadows, in the game. It offers a high level of realism which is much better what’s possible using traditional rendering techniques. Turing is the first GPU capable of real-time ray tracing. Nvidia say RTX is Light years ahead of others Cards. 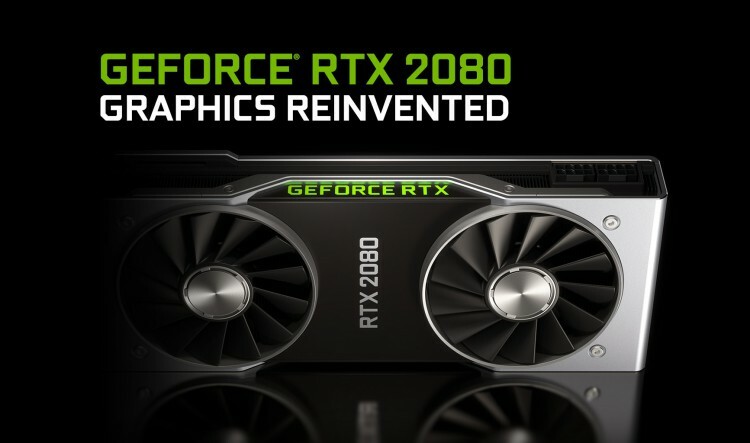 With the Great Graphics performance Nvidia also alot focusing on the Design, The overclocked GeForce RTX 2080 Founders Edition graphics card has a next-gen 8-phase power supply for maximum overclocking and dual-axial 13-blade fans combined with a new vapor chamber for less Heating and noise less performance. here AI is playing an important role in bringing the greatest technology advancement in history, and Turing is bringing it to computer graphics. Armed with Tensor Cores that can deliver over 100 TFLOPs of AI computing horsepower, Turing GPUs can run powerful AI algorithms in real time to create crisp, clear, lifelike images and special effects that were never before out. Coming to the end, This Graphics card is defiantly a new beginning of Power for Extreme Graphics. We would say it is only for Professional Gamers or if you much have Pennies to Spend and you are interested in next level gaming you can Go ahead! So now lets talk about its few of its specifications that are important to be known & also The Price.